On a recent episode of Called to Coach, we hosted Gallup-Certified Strengths Coach Alexsys Thompson. Alexsys began her career as an executive headhunter -- that is, she helped organizations find executive talent. To get organizational leadership to better understand team dynamics during executive transitions, she turned to the Clifton StrengthsFinder to lay the foundation for her training. She told us that while studying her strengths, she took the Clifton StrengthsFinder assessment several times. She found that three particular strengths -- including Command -- showed up in her top five every time. Alexsys said she didn’t always view Command as a strength, but rather a weakness that made her come across as overbearing. However she has since learned to own her strengths. Now she loves that her Command is so high because it gives her an advantage when emotions run high, such as during negotiations and conflict resolution. As a coach, it’s important to help clients look at their talents in a positive light and turn them into strengths – especially if they view a particular talent theme as a burden. To hear more about Alexsys and how she uses strengths to empower individuals, leaders and teams, watch the full video above. Alexsys is a Gallup-Certified Strengths Coach and managing partner at Fokal Fusion, LLC. 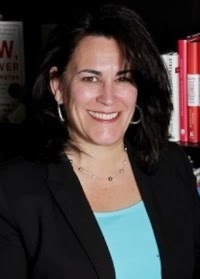 She uses the Clifton StrengthsFinder to create awareness and appreciation for the unseen diversity on every team, often working with corporate executive teams, non-profit and government organizations, penal facilities, families and many special interest groups. Alexsys’ top five strengths: Strategic | Connectedness | Futuristic | Intellection | Command.